Whether you work in a technical environment or larger organisation, your basic demands are the same: you want to be productive and stand out. With the Ricoh SP W2470, Ricoh provides a very compact wide format print solution for peak demand performance and superior imaging quality. 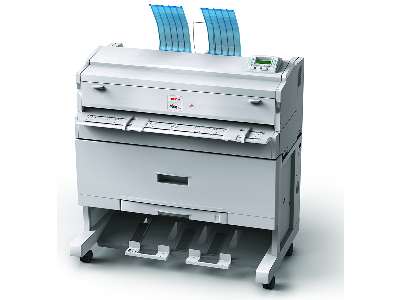 Building on the proven success of Ricoh’s wide format solutions, this digital device handles all print tasks quickly and efficiently. The Ricoh SP W2470 answers the toughest printing requirements and delivers top quality output even on standard paper. This wide format printer offers you the performance and productivity to meet the tightest deadlines.